Postać - Jedi. Punkty: 9/12. Wytrzymałość: 10. 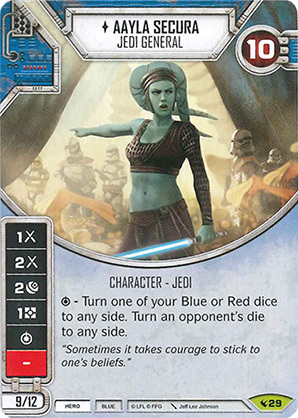 - Turn one of your Blue or Red dice to any side. Turn an opponent's die to any side. "Sometimes it takes courage to stick to one's beliefs."